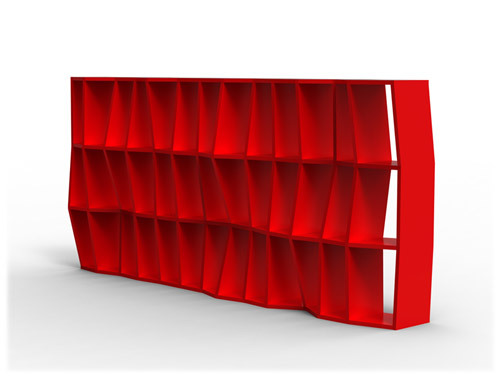 Custom design bookcase. The most daring piece of Imotiu is called ANGLES. Its characteristics are the resounding strokes and the angular geometries. Its strong personality gives a unique feeling to your habitat! Random displacement of control points at intersection of shelves.